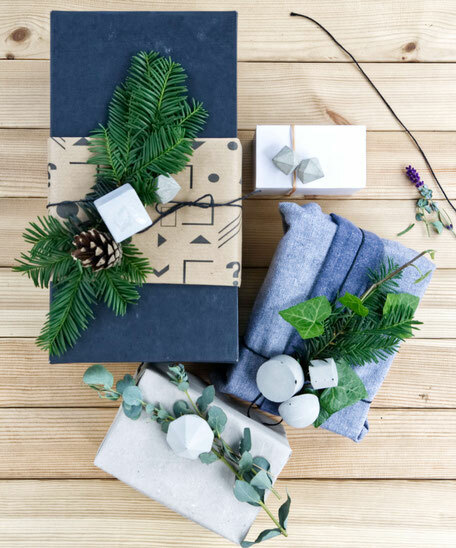 The Christmas shipping timetable to have the gift happiness arrive just in time! The following dates are based on my timeframe of crafting, finishing and wrapping as well as the shippers recommendation for the busy period of the year. I took the upmost care in calculating these times but the shippers do not guarantee their services. This is a token of my appreciation to all my lovely customers and is exclusive to my website. Shipping charges will be automatically applied during checkout. This offer excludes express shipping options which are offered upon request. Not refundable. Yes, worldwide shipping is available. For many countries will be a standard postage applied by the weight of your item. Shipping partners are low CO2 emission couriers like the Royal Mail & Partners, GLS, DPD UK and UPS. Should you live in an area where standard shipping is not being quoted during checkout - please contact me as I will need to check by weight and size which shipping options are available. Contact me and I will sort this asap for you! Cylinder Concrete Candle Holder, Concrete Cylinder Ornaments & Santa Cookies by SylivasGingerbreadHouse, read all about her creations in my Christmas blog stories! 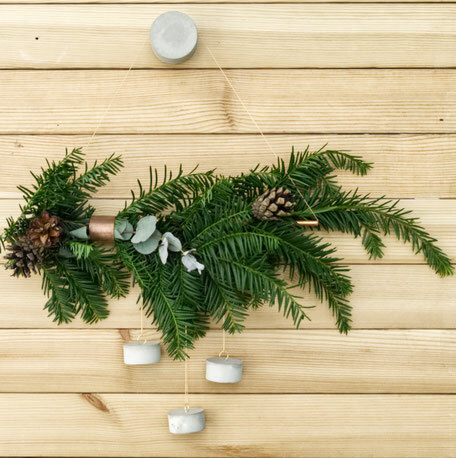 Inspiration - Christmas wreath diy with concrete ornaments, pine cones, copper & fir! * You found the perfect gift but it is too late for the above dates please do get in touch. I will happily check for services by weight and size for you to help make a last minute Christmas delivery possible. 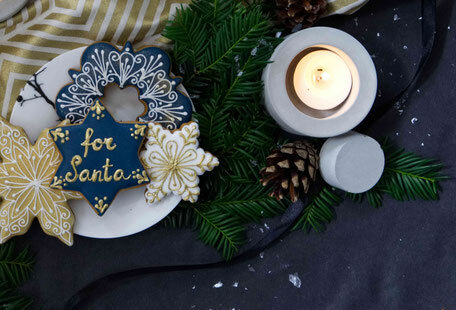 Cheers to happy holidays and if you are in need of gifting inspiration check out my hand picked designer-maker gift guide and Christmas stories over on my blog or have a look at my curated gift suggestions above!